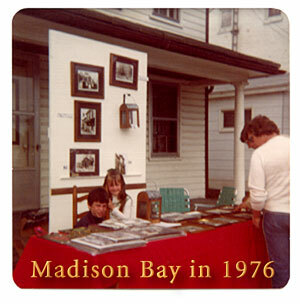 Madison Bay Company began as Leib Image Archives, founded in 1976 by John Leib as a part-time business while he was teaching high school. He started collecting historical photographs, and his archive grew quickly from five civil war photos to over 15,000 historical images. John Leib retired after 27 years of teaching and devoted himself full-time to the wholesale business in 1989. In 1990 his son, Troy Leib, finished his masters degree and joined John to operate the business as a partnership. Today they share the business on a daily basis. The business purchased a property in York, PA with offices and a small warehouse. Photographs from our archives are sold wholesale as sepia-toned reproduction photographs, framed photographs, postcards and notecards. At first, our products were mainly marketed in the area of the Eastern States, Gulf States and the Great Lakes. In 1992 we expanded the sales area to include the entire country. The year 1996 marked a major change for the company. We expanded our product line to include historical reproductions of Colonial, Civil War, Indian, Western and Nautical gifts. We now sell to antique shops, catalogs, national parks, theme parks, gift shops and framing galleries throughout the United States. 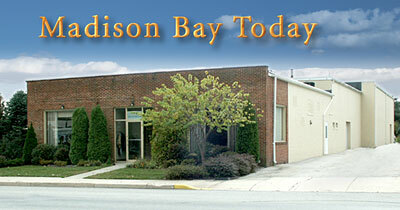 The business continued growing, and in 1999 we purchased a warehouse in East Berlin, PA and moved to larger quarters. Since our business name no longer quite fit our distinctive product line, we incorporated and adopted our new name, Madison Bay Company, in 2000. Every year we introduce new items made from brass, cloth, glass, iron, pewter, and porcelain. We continue to show our existing and expanding line at trade shows like the Atlanta Gift Shows, New York Gift Shows, Smoky Mountain Gift Show, and the Denver Gift Show.